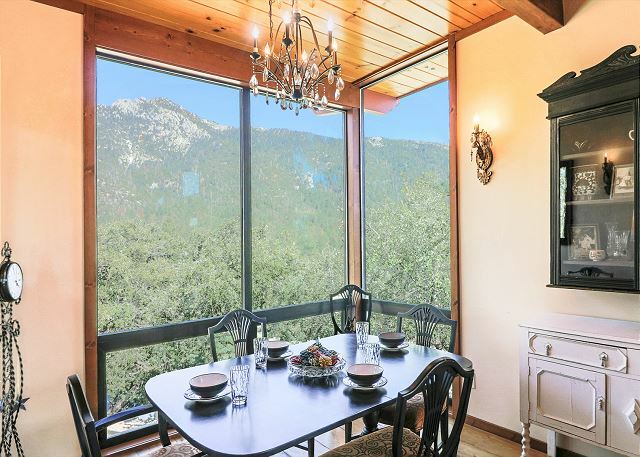 Elegant dining room with stunning mountain views. 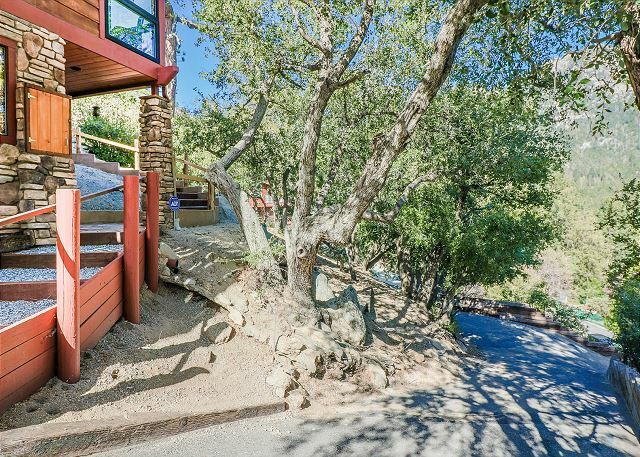 Beautiful mountain views from deck of the home. 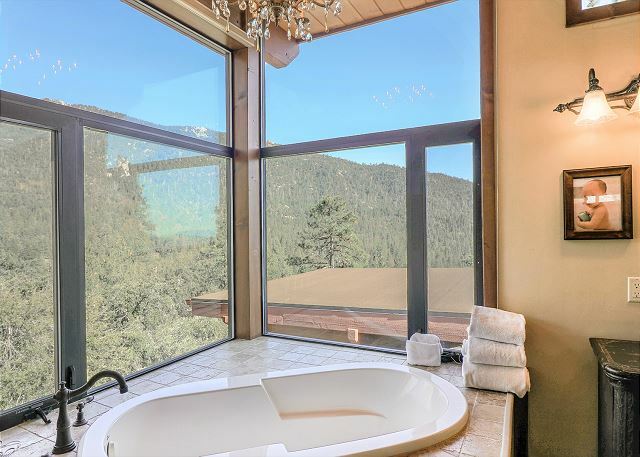 Gorgeous views from the master bathroom. 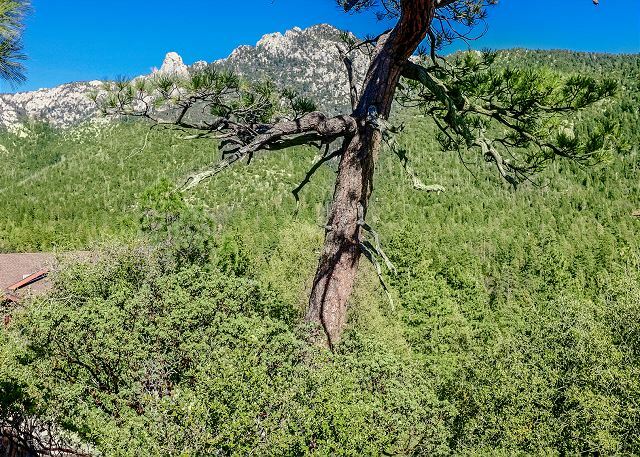 The ultimate place to unwind. 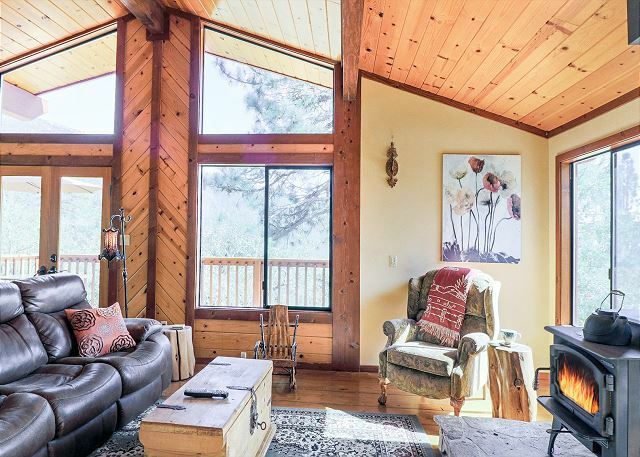 Home features high vaulted ceilings, bringing the outside nature in. 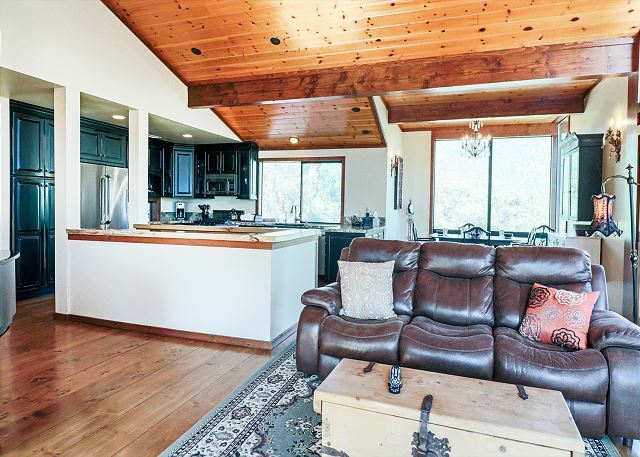 Living room features high vaulted ceiling, wood-burning fireplace. 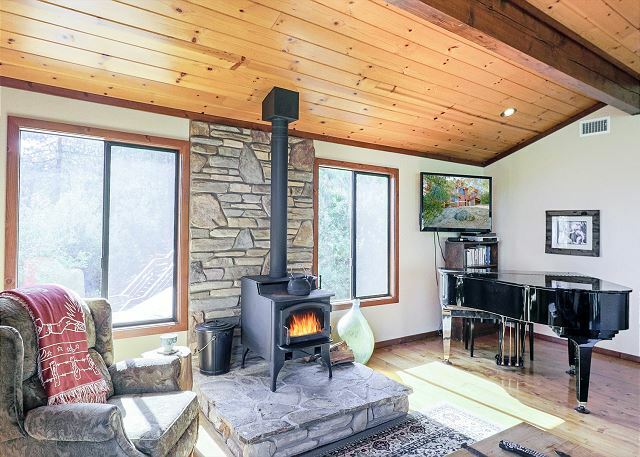 Living room also includes a baby grand piano. Living, dining and kitchen are open concepted. Perfect for entertaining. 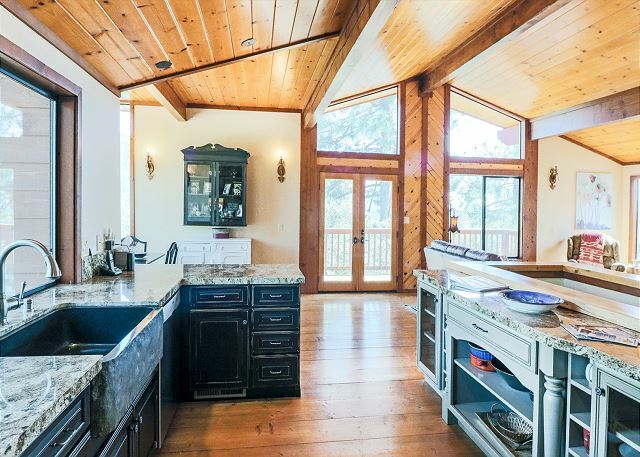 Large, beautiful kitchen is perfect place for the group's chef to make a meal. 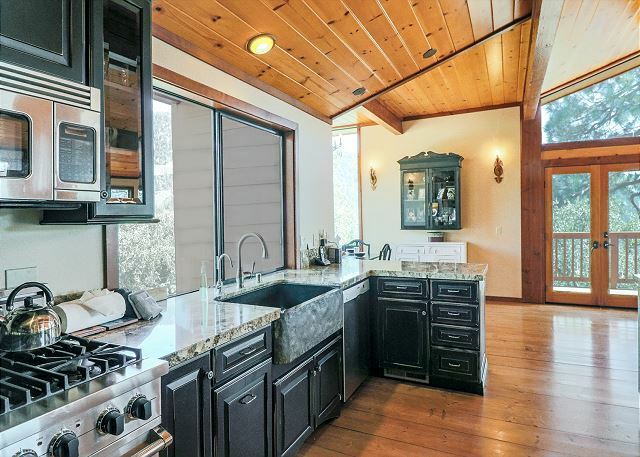 Kitchen has plenty of counter space is fully equipped with everything you will need to make a spectacular meal! Kitchen is newly remodeled with all stainless steel appliances. Dining room features stunning views and elegant chandelier. 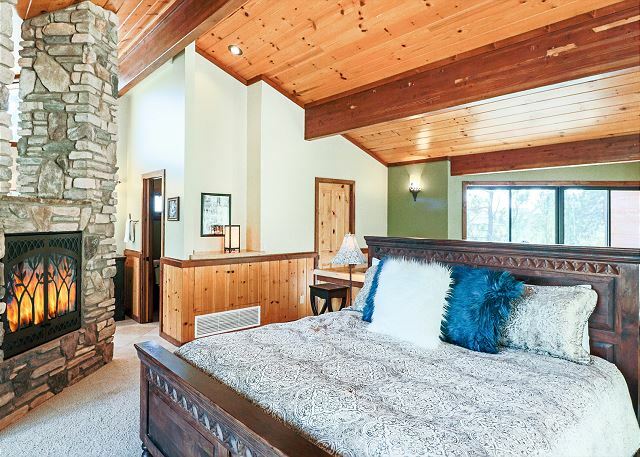 Master bedroom features in room fireplace, in-suite bathroom and office area. 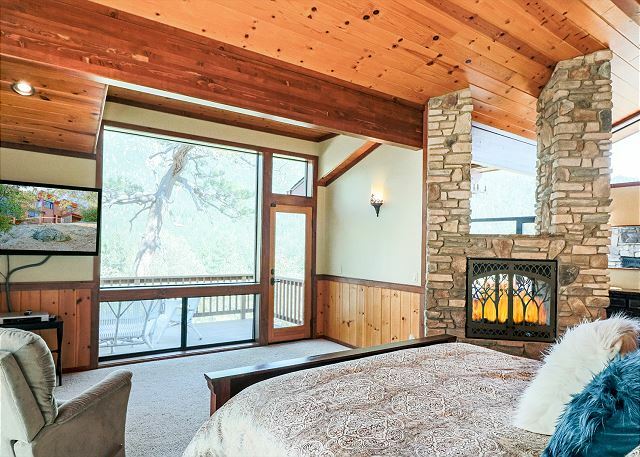 Enjoy the mountain views without getting out of bed or enjoy from the room's private balcony. Office area if you need to respond to some work emails. Telescope also located in master. Perfect for stargazing. 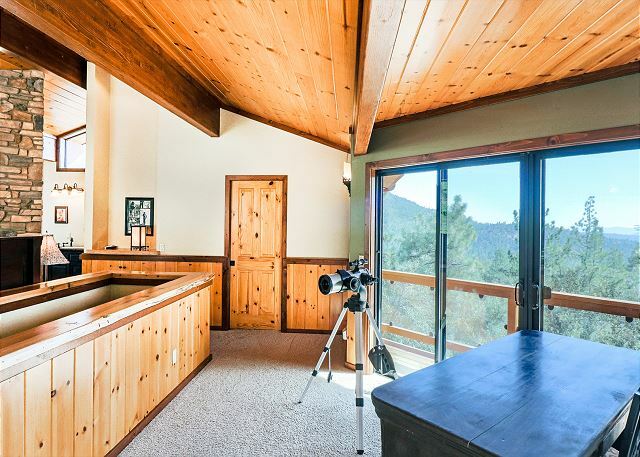 Master bathroom features large oval tub, doorless shower, and incredible views of Lily Rock. 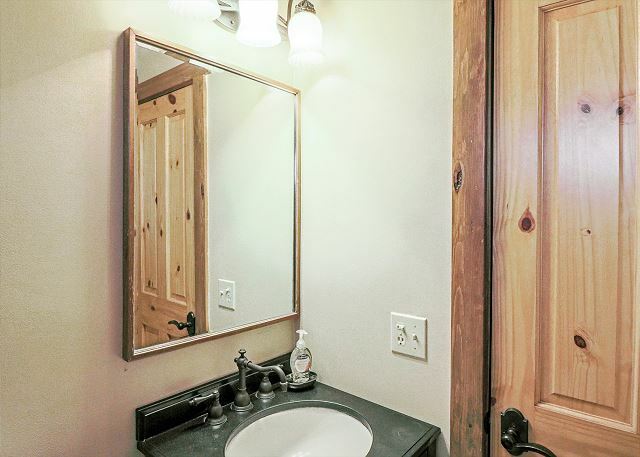 Master bathroom has dual sinks. 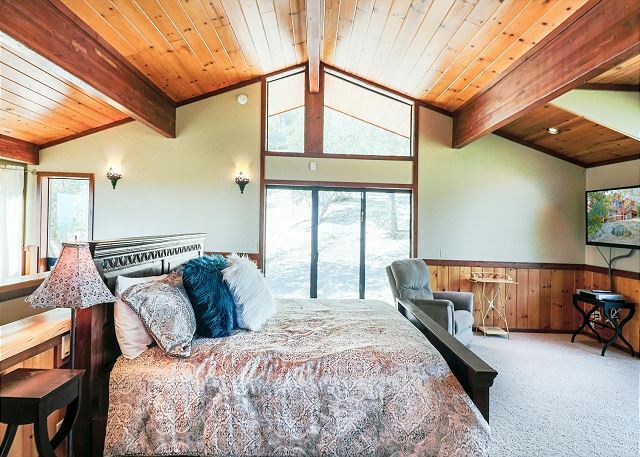 Master bedroom private deck with mountain views. 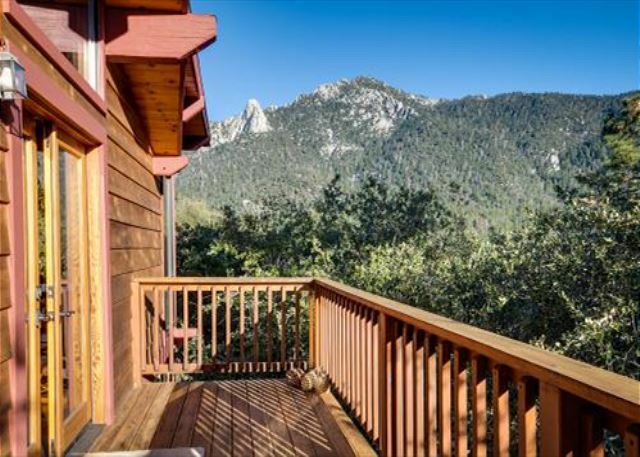 From the master deck you can see Tahquitz Peak and Lily Rock. Master deck is perfect spot to sit and relax. 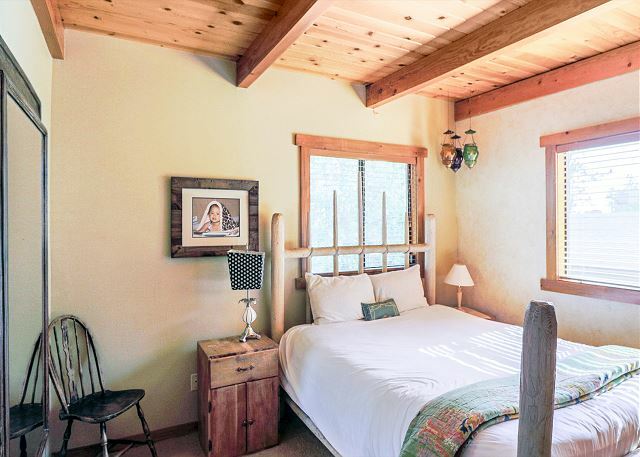 2nd bedroom located downstairs and is private. 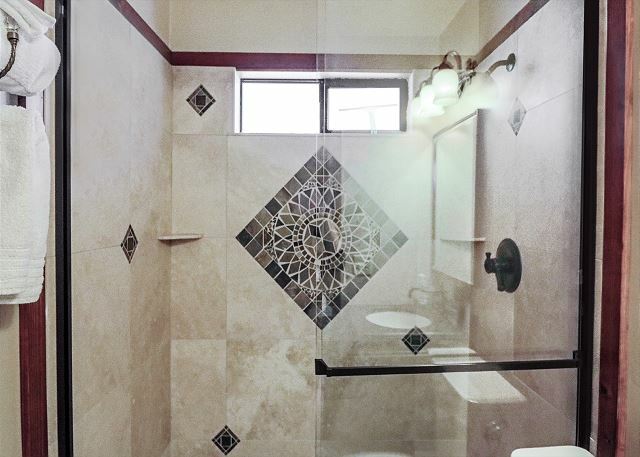 Downstairs bathroom for 2nd bedroom with shower. Downstairs office can be used as a third bedroom if needed. 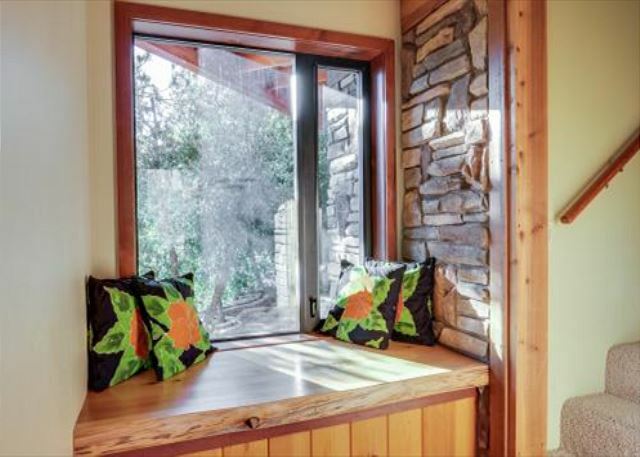 Little window nook perfect for reading a book. Front walk-way that leads up to the front door. 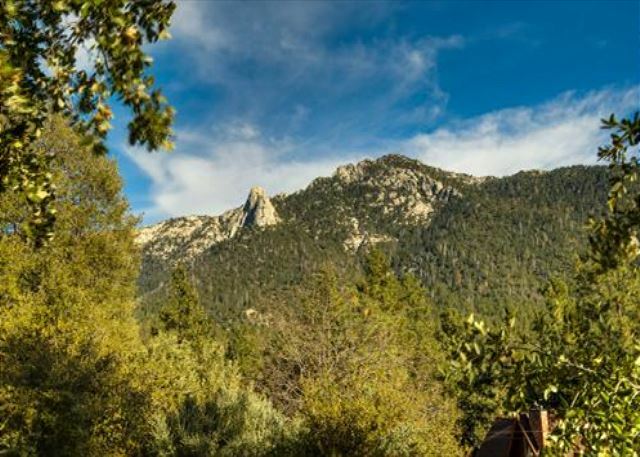 Beautiful mountain views of Lily Rock Monument from the home. 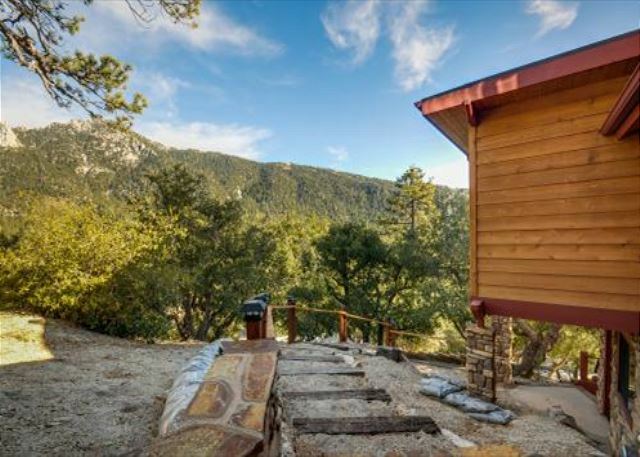 Enjoy Idyllwild's natural elements from this luxurious mountain home, with custom architectural upgrades, high-end furnishings, wood floors and wall, stone accents, and ample windows to bring in natural light to show every beautiful detail. 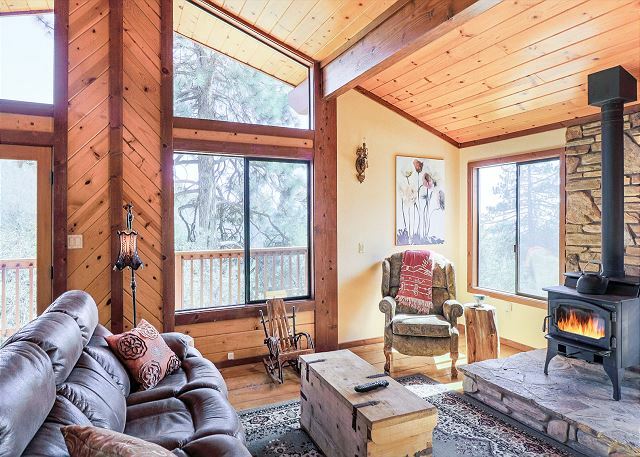 Breathe in fresh mountain air while gazing out across tall pine trees. 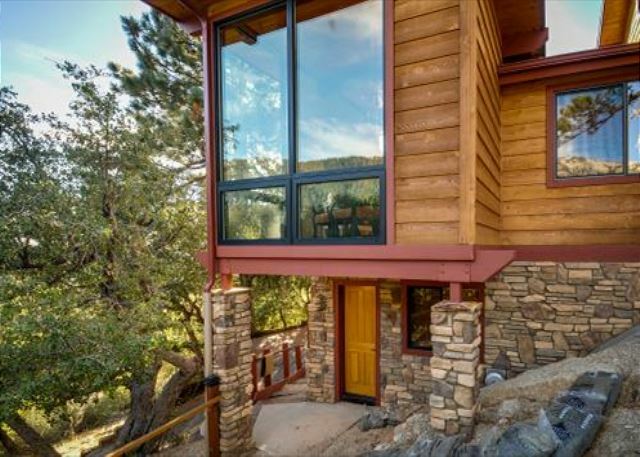 Incredible mountain views from this upscale luxury home is just want you need to complete your getaway. 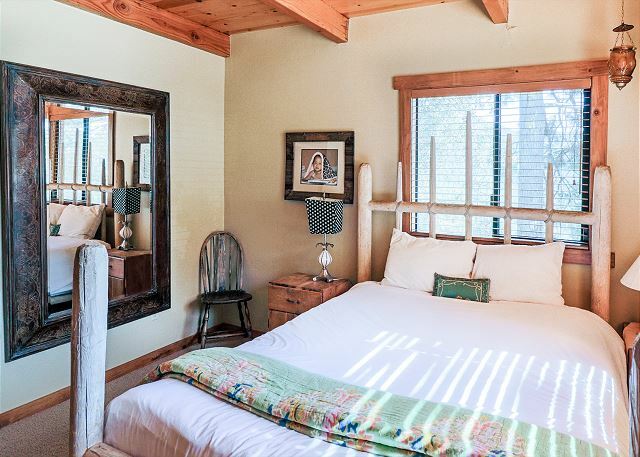 This quiet setting is perfect for relaxing evenings at home with loved ones after an exciting day of sight seeing.